A guide to information on New Zealand’s conscientious objectors during World War One. Appendix 4: Defaulters, by occupational category. 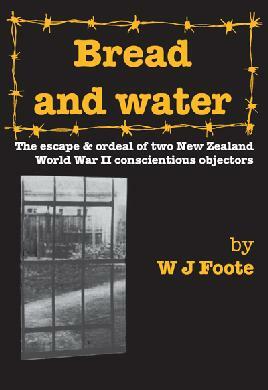 Author, the father of poet James K. Baxter, is the best known New Zealand conscientious objector of World War 1. Ch. 6: The tide turns. Also includes poems of protest and paintings by Bob Kerr. A history and accounting of the fund, which was set up in December 1916, to provide for objectors arrested under the War Regulations. Photocopies of newspaper reports of hearings by the Otago Military Service Board for those called to serve in the army. National Peace Council of New Zealand pamphlet, alerting electors to consequences of repressive legislation affecting conscientious objectors. Does not include any personal names. An alphabetical list of defaulters was published in the New Zealand Gazette, 14 May 1919. Access the New Zealand Gazette Archive at any of our libraries. Includes lists of conscientious objectors. Conscientious objection in the First World War Information from New Zealand History online on various stands against the First World War. Conscientious objectors research guide A comprehensive guide to using resources from National Library of New Zealand to research conscientious objectors, mainly focused on primary resources. Voices against war About conscientious objection in WWI Canterbury.